Here in the heat of the summer there’s nothing I crave more than a heavy chocolate, sugary cupcake. But I try not to compartmentalize my desserts into seasonal quarters. I feel like that’s kinda mean. I ‘m really not out to hurt any dessert’s feelings. Nobody puts desserts in the corner. So while you’re enjoying your watermelon and popsicles, I say break up the cool, light treats with an occasional gut-buster. One won’t kill ya. Plus, aren’t 3 Musketeers a sorta-healthy candy bar? The commercials say that they are light and airy…which translates into healthy in my brain. My husband tells me that I am a marketers dream come true. Really, I’ll take any excuse to eat a candy bar. So basically what I am trying to convince you is that these cupcakes are based in health food…like banana bread or zucchini brownies. So make them, eat them and go put on your swim suit. I used my chocolate cupcake recipe and halved it. The original recipe makes 36 cupcakes, so I made 18. Half. Make your batter and fill your liners up just half way. Bake them for 5 minutes and pull them out of the oven and drop in 1 miniature 3 Musketeers piece, pressing gently into the partially cooked batter.. Pop them back in the oven for 10-15 minutes until the cupcakes are set. They will continue to bake around the 3 Musketeers piece. Now. 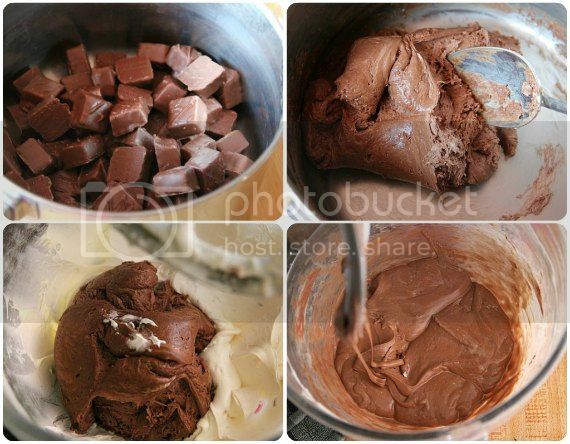 3 Musketeers frosting. It’s kinda cool. In a sauce pan on low heat, melt 15 oz. of 3 Musketeers pieces, or chopped bars, stirring frequently. Meanwhile, in your stand mixer cream together some butter and Marshmallow Fluff. Add the melted 3 Musketeers to the butter and Fluff and mix away. Add in some milk and powdered sugar and you’re set! It gets melty, making the inside of the cupcake super gooey. It’s really summer food at its finest. 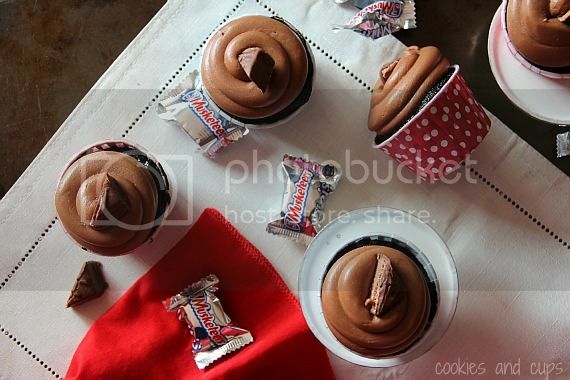 Click here for the chocolate cupcake recipe, plus you will need 18 miniature 3 Musketeers pieces to bake into the cupcakes. In stand mixer cream together Marshmallow Fluff and butter, approx 1 minute, until smooth. In a large saucepan over low heat melt the 3 Musketeers candy bars. The mixture will resemble thick Marshmallow Fluff consistency when melted. Add the melted 3 Musketeers bars to the butter/Fluff mixture and beat mixture for 1-2 minutes until evenly incorporated. Turn speed to low and add in powdered sugar and milk. Turn speed up to medium and beat until smooth. Ummm, drooling. I love that you melted the 3 musketeers INTO the frosting!! So. Yummy. Oh my heck! These look wonderful! I crave chocolate all the time! Forget popsicles! I love you liners and the frosting? I could eat that straight from the bowl! YUM! 3 Musketeers are one of my favorites…and now baked into a cupcake and topped with that frosting. I die now!!!! Oh my goodness, I adore those cupcake liners! How adorable!! I remember eating 3 Musketeers as a kid. I’d always eat the chocolate from the outside, leaving me with a bar of very mushy nougat stuff. It weird, cause I like 3 Musketeers & Snickers, but not Milky Way, which are basically their meet-in-the-middle candy bar. Your frosting recipe here looks amazing. With the chocolate hidden in the batter too these look amazing! While I love 3 Musketeers, they’re very hard to find in the UK! Any chance of getting a homemade 3 Musketeer recipe to go with it? Oh…my…god. These are my favorite candy. Favorite so much that I never ever buy them because if I have it in the house it’ll all be eaten. Standing up. In the kitchen. Before I actually put the bag away. Oh but I want these! Oh, gosh. Super yummy! You come up with the best treats! I want that frosting! I love 3 Muskateers, that frosting sounds insane! Oh my! These look fab! I love those candybars too! I will have to wait for the heatwave after heatwave to try them, but they are on the list! Can I ask where you get those cups? They are darling! Love the pleated look! And that you baked these just in cups. Why have I never thought to do this? You get a nice, big, cupcake (or muffin) – no muffin pan to clean out and the paper liners don’t fade all over. I need to do this! 3 Musketeers is one of my favorite candies! OH. MY. I’m making these! I just squealed when I saw this! 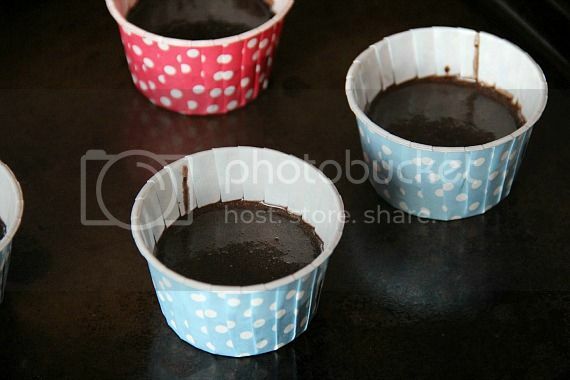 If I was craving chocolate, i`ll definitely make this! Can I just say……OMG YUM!!! 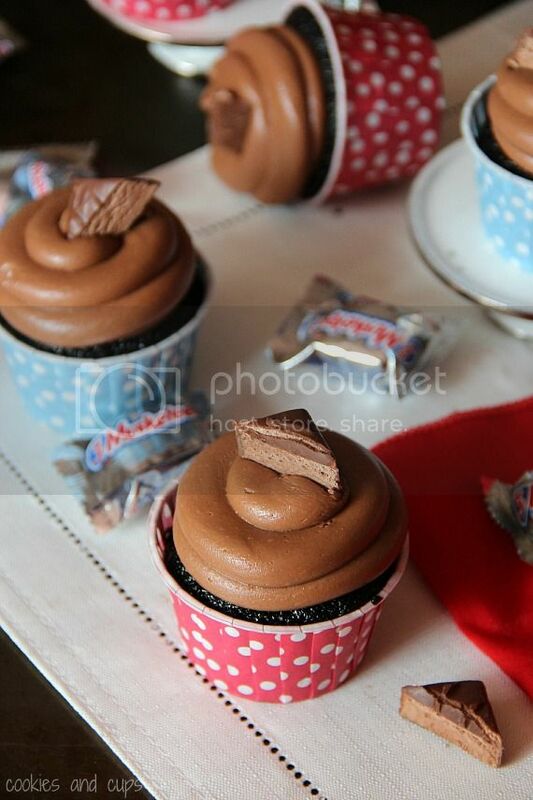 I love 3 muskateers bars, and I bet these cupcakes are unbelievable! Plus those muffin cups are adorable! I am starting to see this type of cup used more. How do you eat the cake? With the traditional liners, you peel them off…….how do you get to this cake……??? thank you. These peel off easily too, or you can cut them.. either way! That frosting is too cool!! I would have never in a million years thought about doing that! I definitely see where you’re coming from. That airy 3 Musketeers center HAS to be good for you! Otherwise it would defy physics. Yummy, yummy. I love these cups. What is your take on baking in them? Hard to get the cupcake out? I have placed a baked cupcake in these but never directly baked in them. The cupcake comes out really easily of these cups. I haven’t used a lot of different one, but these from Shop Sweet Lulu are the best. I put the link at the bottom of the post! That frosting just looks so creamy and fluffy and perfect… like any perfect 3 musketeers bar! two things: first, the melting of the 3 muskateer bars… i have never ever thought to do that! thick chocolately fluff… sounds like heaven. I have to try this frosting sometime Shelly. All of your inventive recipes keep me coming back, I just love it. 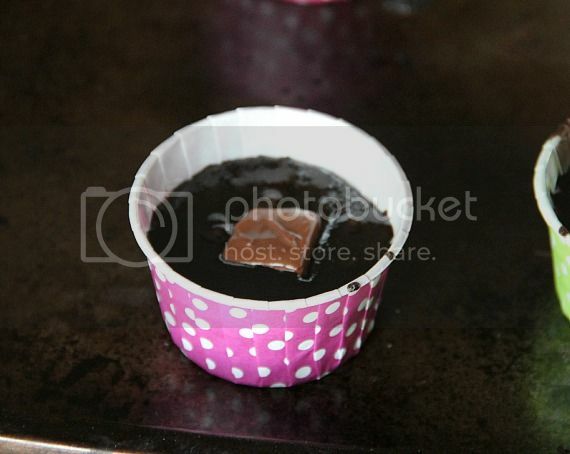 second, baking the cupcakes just tin cups is something I’ve never seen before! I love that idea.. less dishes! the frosting looks amazing. Just love this cupcakes. Great work! It looks very professional. 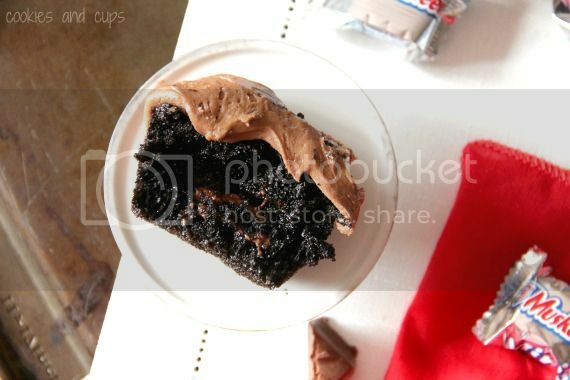 The frosting looks SO good, and the itty bitty pieces of 3 musketeers looks even better!! What cute cupcakes, Shelly! These are incredible! As a kid, 3 Muskateers was always my 2nd favorite candy bar behind Snickers. I loved that creamy, mousse-like filling! I love the cupcake liners you used! They are adorable. Wow, these might be the best cupcakes ever! And your liners are super cute! If I got 3 Musketeers bars here or Marshmallow fluff, I would make these ASAP! YUM! I just got the chance to discover your blog and I am telling you, I sooo Love it, especially your stories about your daily experiences with your family and all.. I want to make these for Thanksgiving, and was surprised by the amount of sugar for the cupcakes. Is 3 cups correct? Yep…I know it seems like a lot, but trust me! They are great! I made the frosting for my son’s 6th birthday party yesterday and it was delish, but it didn’t hold up. I wanted to pipe it like you have here, but it ran down the sides. Hubby suggested I put them in the fridge to harden which helped a ton. I wonder what I did wrong? It was a hit none the less. Oh my yum! How in the world did you think of melting down the candy bars for frosting? Fantastic! I am going to totally try this! These look delicious!!! I would just like to know where I can find the liners that are in the picture. So thank you thank you!!! These look amazing! One question though: I want to make these for Father’s Day since my dad’s a huge 3 Musketeers fan; however, he doesn’t really like marshmallows or marshmallow fluff. Is there anything I could use as a substitute? Thanks! I’m going to take these to the family reunion this year. May make it a devils food cake with the frosting tho. I had this recipe for the frosting 30+ years ago but lost it. Thanks much! I just fell in love!!! I make a chocolate mousse icing but this I cannot wait to try! You just made my day! You have no idea! THANK YOU! The frosting was good but super super sticky! I wonder what the frosting would be like without the marshmallow fluff. Not my favorite.